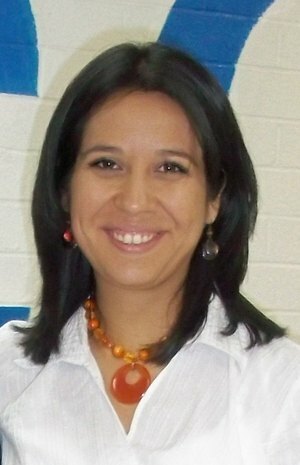 This week we welcome guest blogger, Alicia Perez, who is ICAN’s Family Programs Coordinator. Alicia has been with ICAN for 3 years and currently facilitates our family programs. She shared some amazing feedback from a participant in our Strengthening Multi-Ethnic Families program recently that we just knew we had to share! This past week we celebrated a graduation of participants from ICAN’s Strengthening Multi-Ethnic Families program, and at the end I received flowers as a gift from one of the participants. I for sure love the flowers and the gratitude gesture, but what will remain longer in my heart is some of the words the moms shared at the end of the program. One of the best testimonies I’ve received I would like to share; it’s from a very young mom, with 4 children, who also takes care of another 4 children (including a baby) at her home as a job. In total, she has 8 kids almost every day to take care of in a little apartment. This mother started the class and quickly I was able to realize that she was really focused and completing all the homework including practicing at home. She started using the attention charts, not only with her kids, but also the ones she babysits. She said that she has more time for herself because the kids now clean up after themselves (self-discipline). She also mentioned that both her husband and herself were really surprised when their little 5 years old boy told them that he didn’t want a party or toys for his birthday, but that he wanted to “take” the whole family out to eat in a restaurant (family bonding). She started utilizing more “I statements” to develop empathy with the children. She shared in tears that she was struggling with her 6 year old daughter because she was wetting her bed at night and the siblings and other children were continuously making fun of her. This resulted in the young girl becoming very stressed and this mother becoming frustrated. They ultimately had a family meeting, and talked about how the situation was affecting the family. The meeting ended up being the solution for the problem, as “simple” as that! I wanted to share this very humbly, not to flaunt myself, but as an opportunity to express how proud and grateful I feel to work in an organization like ICAN that offers great programs for our kids and families in the community. When we pull all our efforts together, the results keep adding up, and those colorful flowers are transformed in beautiful smiles, stronger families, and a healthier community.